The leaky faucet in your home could be costing you money! Water is expensive, and 13% of the water that goes into a home is lost due to leaks. A drop of water every two seconds works out to a thousand gallons of water in a year. 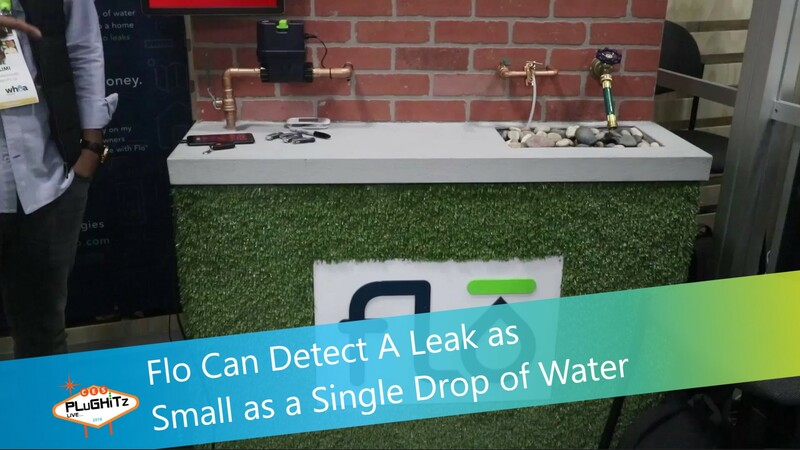 Flo has a solution that not only will detect water leaks, but also can help you save money on your water bill. Todd stopped by the Flo booth at CES 2018 and spoke with Gabe. Flo is trying to prevent loss, one drip at a time. They proactively monitor the integrity of your home's entire water system from a pressure, flow, and temperature standpoint. This enables Flo to detect vulnerabilities before you even get a leak. It also allows Flo to alert homeowners when a leak has been detected. The Flo app has a dashboard that shows you how much water you've used every day, and what times of the day you are using water. It has a control panel where you can see in real time what the pressure is in the water system, what the flow is, and what the temperature is. Push a button on the app to remotely turn on and turn off the water. The Flo device has a useful life of between five and ten years. You do need professional installation to install the Flo device on your plumbing. You only need one device for the house. Flo has a list price of $499.